Estimated at 131,000 outlets, the US coffee shop market* shows significant growth in 2016. The branded coffee shop chain segment has increased by 3.1% in outlets and 7.4% in revenue over the past year to reach $41 billion. The market is set to reach $85 billion by 2025. The Project Café2017 USA report from Allegra World Coffee Portal (WCP), reveals the growth is driven by the coffee-focused chain segment (e.g. Starbucks Coffee Company, Dunkin Donuts, Tim Hortons). This segment records an impressive 8.2% revenue growth to reach $29 billion across 26,784 chain outlets. The top 3 chain outlets account for a 65% share of the entire branded coffee shop chain segment with market leader Starbucks operating 12,938 outlets, and Dunkin Donuts and Tim Hortons operating 8,573 and 658 outlets respectively. While branded coffee shop chains account for 25% of the total market, the artisan coffee culture has been the key influencer in shaping the evolving landscape. The growth in boutique chains such as La Colombe, Blue Bottle and Bluestone Lane and the recent acquisition of small-sized artisan chains Stumptown and Intelligentsia signals a new era of competition. With the rise of an espresso-based coffee culture and increased consumer expectations for quality and experience, Allegra WCP observes higher quality coffee standards across the market. As a result, even fast food chains such as McDonalds now offer a full range of espresso-based beverages. The US is already a nation of coffee drinkers with consumption firmly embedded in American’s daily lives and this, together with wider availability of specialty coffee continues to underpin market growth. US coffee drinkers consume 23 cups of coffee a week in various locations. 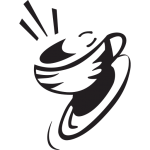 Regular coffee shop visitors consume 4 cups of coffee per week in coffee shops on average. With the emergence of the rapidly expanding artisan scene, a growing number of Americans are becoming coffee connoisseurs demanding greater quality coffee wherever they are. 55% of the 5,000+ consumers surveyed by Allegra WCP state they would be willing to spend more for higher quality coffee in coffee shops, giving an average price ceiling of $3.18 per beverage. Millennials are the driving force in the increase of espresso-based beverage consumption and are much more likely to order cappuccino (19%) than a filter coffee (8%). The coffee shop market is moving beyond artisan coffee to a greater level of professionalism. In an environment transformed by technology, urbanisation and instant access to information, consumers are becoming more sophisticated. Boutique chains such as Blue Bottle and Bluestone Lane have again risen the stakes, adopting more refined business practices to deliver higher standards of quality coffee, much to the delight of today’s discerning consumer. The Project Café2017 USA Report is now available to purchase Allegra World Coffee Portal Limited.